Psychic Paranormal Forum › ABT's Top Forum Boards › Paranormal Pics › Sleep-study-ghost? A video is recording a sleep-study participant. There is no information about what the study was about. 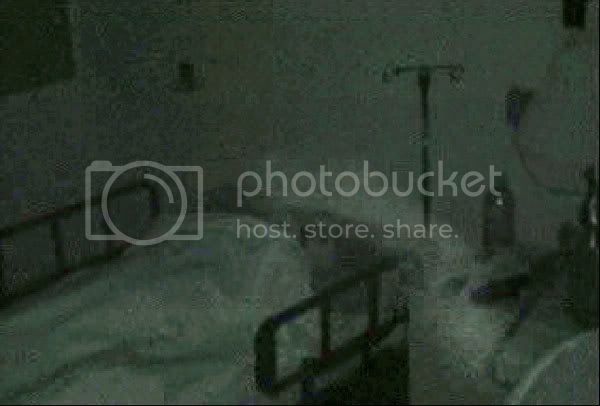 This is a slow motion version of what was spotted on the tape. Looks like a giant banana..or boomerang.. But seriously though, hmm... I think this could be something... Though it is hard to tell with it in frames like this. It's interesting.. If I saw this one all by itself.... very eerie... and I'd wonder if the subject being watched was there because of nightmares. 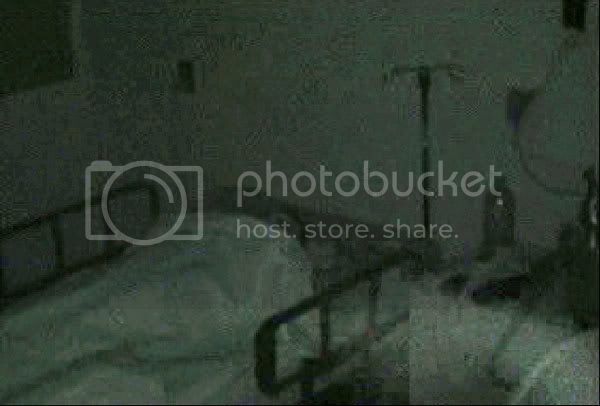 I wouldn't be surprised if the figure we see floating in front of the camera lens is a piece of lint and it's just an illusion that the ghostly mist is actually hovering over the sleeper. I am suspicious because for the most part the shape stays the same and is floating rather than moving. Even if it's not paranormal, it's fascinating to look at. This is very interesting, myself personally, I think that it's lint, floating across the camera lens, I agree the shape of it does look like a spirit, but it's the way it is floating around, turning over and over, if it were a spirit, I don't think it would do that. The interpretations you give for each frame are very good Evie, if I were just to see the stills, then yes I would think that it was a spirit and it was watching over the person who is asleep, but as I have watched the film, I say no, it's a piece of lint. Well done for finding this Evie. I am just .................... me ! I will always be just .......me ! I LIKE being just ...........me! You are stuck with ........me ! yes i agree it's defiantly lint or dust, i spend a great deal of time with a fine knife sculpting dust and lint to resemble people, and then to complete the illusion i tend to make sure it's the only piece of lint or dust in the room. it can be hard but with very fine invisible fishing line i secure the dust particle in front of the camera.... really it's the oldest trick in the book, not sure why people still do it. hay I've an idea how bout keeping an open mind. no sorry what was i thinking.